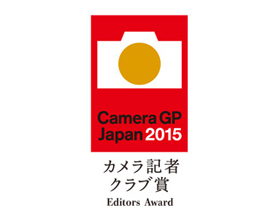 The prize is organised by the Japan Camera Journal Press Club, members of which include photographic journalists from Japan’s leading photography and camera publications. The annual award is presented to the still camera introduced in Japan over the past year that club members deem ‘most popular, valuable and innovating to the market’. They added: ‘The 5-axis image stabilisation and 40MP high-resolution mode result in the possibility of [a] high-resolution image with a compact lens interchanging camera. The Japan Camera Journal Press Club was founded in September 1963. Announced in February, the OM-D E-M5 Mark II Olympus is a revamped version of the enthusiast-level OM-D E-M5. At the time, Olympus claimed to have improved its three-year-old 5-axis image stabilisation system to make it the ‘world’s most powerful IS’, delivering ‘startling image quality’. This was made possible using a better algorithm and by installing a new motion sensor, added the firm.